Discovered by Funimation warhorse and visionary ADR director Christopher Bevins, who cast him as Rikichi in 2005's Samurai 7, Tatum's inexplicable luck has held long enough to see his flag hoisted on a slew of dream roles, most notably Kyoya Otori in the hit English language dub of Ouran High School Host Club, suave, demonic Sebastian Michaelis in Black Butler and the equal parts maniacal/vulnerable Okarin Rintarou from Steins;Gate. Other characters the man still can't believe he's had the crazy good fortune to play include: Doumeki in XXXHolic, Jiro Mochizuki in Black Blood Brothers, Isaac Dian in Baccano!, Both God Eneru and Dalton in the new dub of One Piece, Komui Lee in D-Gray Man, Dororo in Sgt. Frog, the titular loveable savage of Heroic Age, Ryosuke Takahashi in Initial D, Lawrence Kraft in Spice and Wolf, Zarbon in Dragon Ball Z Kai, Scar in Full Metal Alchemist: Brotherhood, and Sir Hammerlock in the videogame juggernaut Borderlands 2. His vocal "stylings," much to the chagrin of drama teachers everywhere, he's sure, have also been featured in Romeo X Juliet, Speed Grapher, Trinity Blood, Kenichi: The Mightiest Disciple, Black Cat, Nabari no Ou, Ghost Hunt, School Rumble, The Tower of Druaga, Aquarion, Tsubasa: Reservoir Chronicles, Shuffle, Shigurui, Glass Fleet, Mushishi, Soul Eater, along with feature-length films such as Vexille, Summer Wars, and Dragon Age: Dawn of the Seeker, among many others. And as if being involved with so many awesome shows wasn't enough, in late 2007 the fluky so-and-so tempted fate by officially branching out into ADR directing and adaptive scriptwriting for Funimation as well. His ADR directing credits to date include Aquarion, Jyu-oh-Sei, Romeo X Juliet, Big Windup, Rin: Daughters of Mnemosyne and Shikabane Hime (Corpse Princess), while his writing credits include substantial work on Ouran High School Host Club, Heroic Age, Initial D, Blassreiter, Ga Rei: Zero, Hero Tales, Legend of the Legendary Heroes, Fractale, Deadman Wonderland, Steins;Gate and Dragon Ball Z Kai. In early 2010 he teamed up with Terri Doty and Stephen Hoff to launch That Anime Show, a web-based chat show centered on colorful, often diabolically unhinged interviews with friends and colleagues within the dubbing industry, all episodes of which can be downloaded for free at http://thatanimeshow.com. What fanboy didn't grow up on Star Blazers? I've definitely heard his voice a few times. J could be Jeremy. Or it could be Joseph. Either would be cool, wouldn't it? seems like a nice chap, he does! 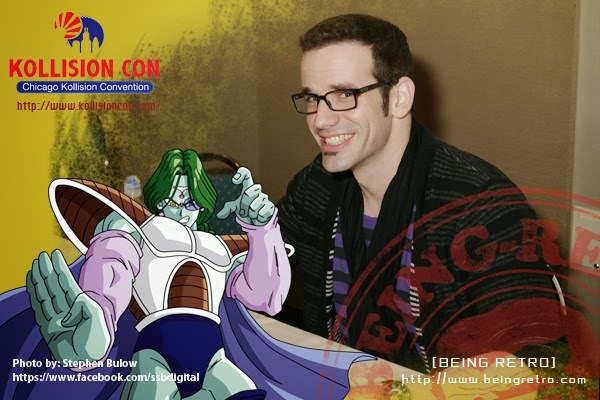 J stand for JUST...as in Just Michael Tatum! How amazingly talented he is. Brave for stepping into ADR too. You always meet interesting people Jeremy.